Sometimes I’m tempted to buy a goldfish just so I can have a fish I can actually catch. 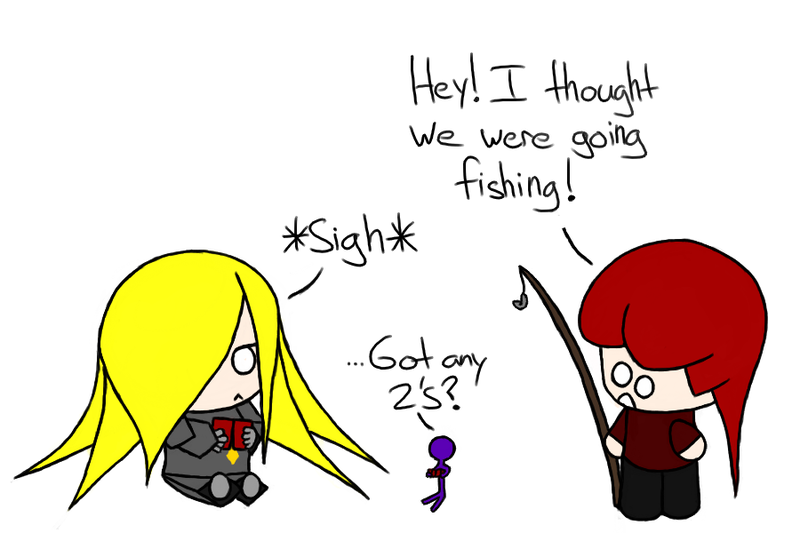 I believe my record for angling is one fish in my entire life, over the course of numerous fishing trips. Good thing I don’t actually like fish. Who needs a tent when you’ve got Pirate? Some days I want to appreciate the smaller things. The quiet moments, the wonders of doing something peaceful, and nice. Also, I play way too much Stardew Valley. +10 Gaming Points if you understand that reference. It’s hard to catch readers. Some days I feel like I’m fishing in an ocean for readers. As a writer, I have made my bait — my book — and I’m looking for the right audience, or rather, fishing hole. Problem is, I’ve only caught one fish in my entire life and that was pure luck. I don’t know anything about writing, and even less about angling. I just do what I like to do, and try to make it work. Ah well, maybe someday I’ll land a whale. Until then I guess I’ll live. I hate seafood, anyways. 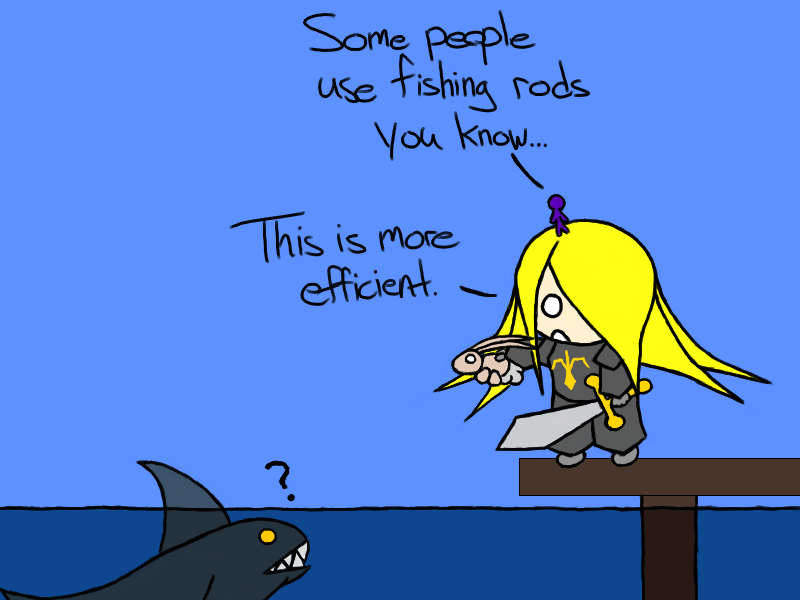 Knight is a ruthless, efficient shark-killing machine. She’ll do what it takes to get things done, never mind the cost. Who’s the scary one here then, the shark or Knight? *Pirate Blog in no way supports killing sharks or endangering rabbits unless you’re hungry. 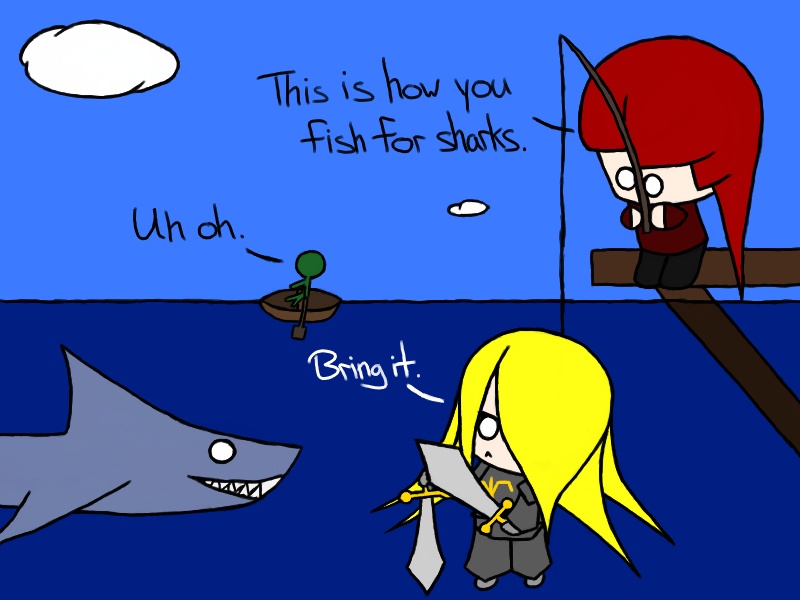 So, I’ve heard of spear fishing and even fish shooting, but I’m not sure how effective they are. Pirate’s probably the greatest at catching fish, but using rayguns seems like it might be pretty efficient too. ‘Tis unsporting not to catch them with your bare hands. Or use guns. I…can’t remember if I’ve ever played Go Fish. But it certainly does seem to lead to a lot of misunderstandings. Mind you, I’d rather fish than play Go Fish. 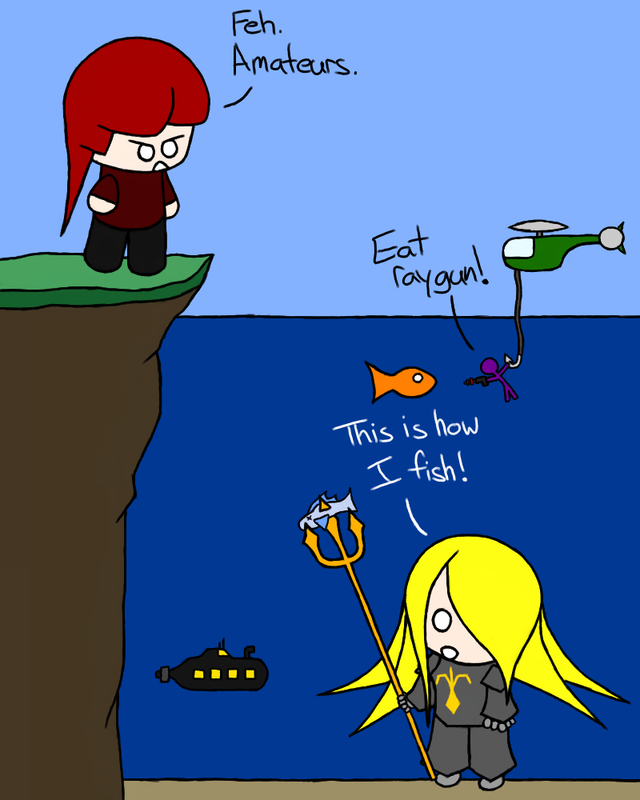 Or maybe I’ll eat fish and play Go Fish…hmm. How would you catch the earth? With a giant hook, obviously, but what bait would you use? Is Mars really part of a giant angler fish? Questions like these keep me up at night. 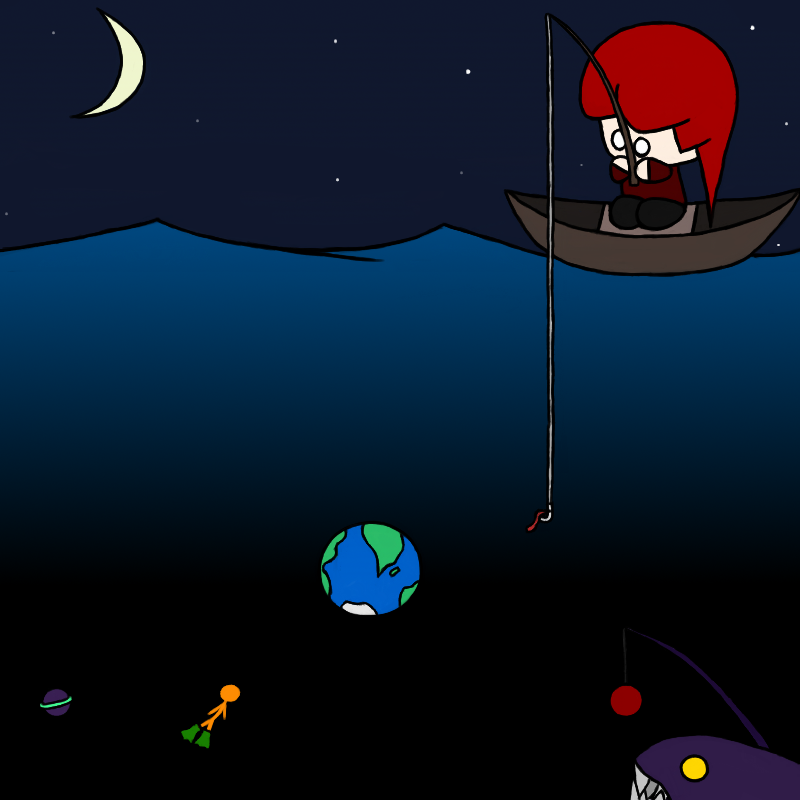 Interstellar angling at it’s best. How do you hunt birds if you don’t have a bow and arrow? 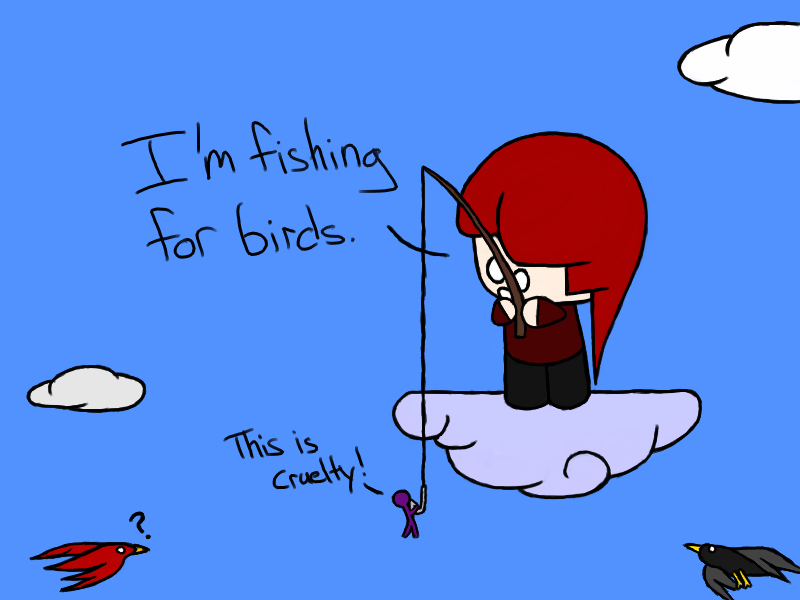 Actually, a fishing pole might work on birds too. Whenever I learn how to walk on clouds I’ll give it a shot. 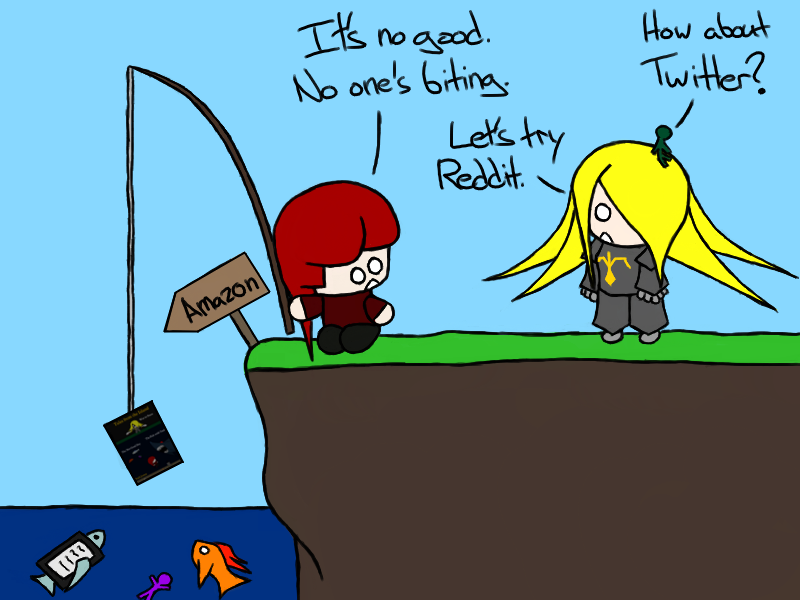 At least Pirate has bait that fights back. It’s a novel idea, at least. I think we’ve all met that one person who we can’t beat, whether it’s at bowling, fishing, or whatever. 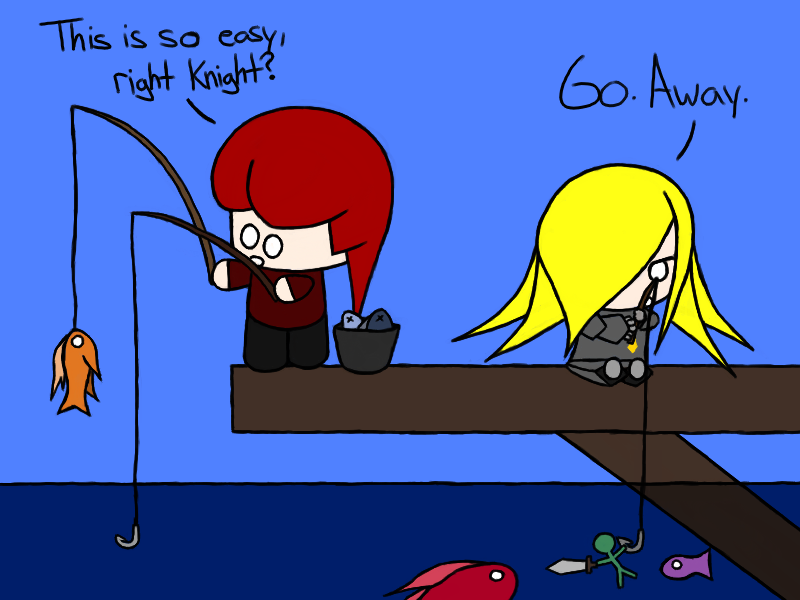 But Pirate’s not showing off; she just doesn’t understand Knight’s feelings. She’s sort of insensitive that way. If you want to beat Pirate, bring a net.